Sean McCloskey is Managing Director of Financial Services at Tax & Financial Group in Newport Beach, California where he advises owners of small and mid-sized businesses on business succession and exit planning. Sean has advised hundreds of private and public companies in a wide range of industries on a wide range of strategic and financial transactions throughout his career. Sean is also founder and President of TFG Strategies, a business valuation firm. Prior to joining Tax & Financial Group, Sean was with CB Health Ventures, a New York-based venture capital firm. Previously, Sean was an investment banker in New York with firms including Lehman Brothers, ING Barings, and Smith Barney. Sean began his career with Ernst & Young in Los Angeles. 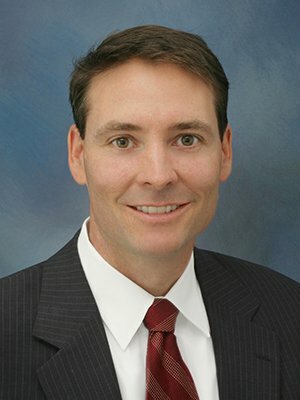 With experience in business valuation, investment banking, private equity, venture capital and public accounting, Sean has advised clients on planning and executing a wide range of transactions and strategies including mergers and acquisitions, ESOPs, private placements, IPOs, recapitalizations, spin-offs, among other transactions. Sean is a licensed CPA, a member of the AICPA and has earned his ABV designation. Sean has his Series 7 and Series 66 FINRA registrations. Sean has served as an adjunct professor to the Paul Merage School of Business at UC Irvine for the Executive MBA Program. Sean received his MBA from the Wharton School at the University of Pennsylvania and his Bachelor’s degree in Accounting from the University of Southern California.